Two haunting voices supported by guitar, piano, and a trademark "suitcase-kick drum" create a breathtaking concert experience. Azalea - a husband & wife duo with 20 years of performance experience between them, an extensive touring history, and an intuitive ability to fit the occasion, will infuse your event with passion and magic. 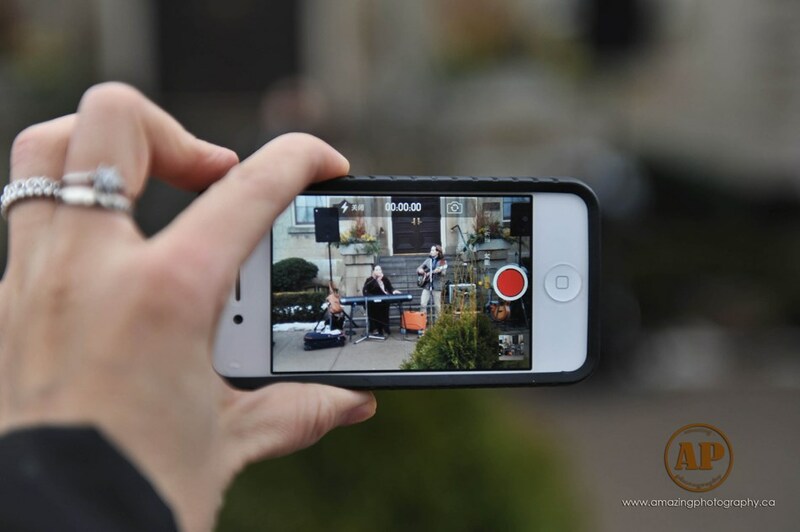 You can expect a warm, inviting, engaging and most of all entertaining performance. With lots of rich vocal harmony and live looping Azalea often creates the sound of a full band with only two performers. Azalea is a perfect choice for corporate events, weddings, festivals, or an intimate concert featuring their original material. 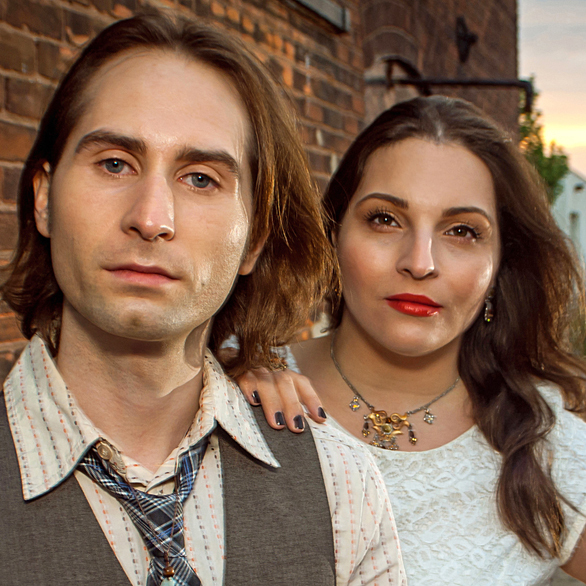 "WHAT TO EXPECT WHEN YOU BOOK AZALEA"
Azalea's concerts feature love songs in two part harmony and "Gypsy-Americana" songs which combine North American folk traditions with Eastern European Gypsy vocal styles. Two haunting voices supported by rootsy guitar, enchanting piano, and their trademark "suitcase-kick-drum" create a breathtaking concert experience. Azalea is available as a duo, trio, or quartet featuring two part vocal harmony, guitar, piano, bass, cello, and percussion. We love playing at wedding ceremonies! This is your special day and it's an honor to be a part of it. It is our goal to express the beauty and magic of your love and marriage through our music. Your celebration deserves only the best and that's what we bring. Azalea has custom wedding ceremony packages available to suit your style and budget. The beauty and elegance of your wedding ceremony should flow into your reception. The right music between can make all the difference. Azalea specializes in fitting the mood appropriately and can provide the perfect music to bridge your wedding ceremony and reception. When you need that perfect balance of elegance, class, and energy for your event, choose Azalea. We have a very large repertoire of songs from many different genres that will enhance the atmosphere and leave a positive impression on your guests. Because of our extensive touring history and the thousands of performances we've done, if your looking for new music for your festival, chose Azalea. We have played many festival stages including the 2014 Hamilton World Music Festival. Hosting a house concert will make you the most popular house on the block! If you can gather ten or more of your neighbours, friends, and family you should consider hosting one. House concerts are lots of fun and will have your guests talking for weeks. Prices vary depending on location, however, a good estimate would be $20 per person + travel and accommodation expenses. Email us and let us know you would like to place an order. We will send you a Paypal invoice and a short questionnaire so we have the appropriate information from which to craft your customized song. These songs make the ultimate personalized gift! A token that your loved ones can cherish forever. It's the perfect gift for the person who already has everything. The cost of each song is $2000 CAD which requires a deposit of $500. Financing options are available for the balance. Songs are usually ready two to three weeks after your order is processed. Perhaps you don't want the extravagance of having your own custom made song but you're still looking for a unique gift idea. If you would like a live cover song of your choice performed and dedicated to you by yours truly, we can do that! We will send you a link where you can download the video file for your personal use. Plus, the video will be available via our youtube channel and a link emailed to you once it has been recorded and the proper permissions for use of the song have been granted. The cost is $300 CAD per song. Unfortunately, we cannot guarantee a time frame for the upload of the video to youtube, but we will send you the download link within two weeks of precessing your order. As people of faith we have had the privilege of leading worship at many events over the years. If you or your congregation would like to host a worship event, Azalea can facilitate a sweet and sensitive yet powerful atmosphere as we join together in worship. Azalea will also provide a powerpoint presentation with song lyrics to help facilitate corporate worship. If your looking for unique roots inspired versions of the Canadian & American national anthems for your sporting event Azalea has you covered! Contact us and ask about our custom packages for your event. We were very happy with the show I would have them back again . DON'T YOU KNOW ME BETTER THAN THAT? Please note Azalea will also travel to Stoney Creek, Waterdown, Millgrove, West Flamborough, Burlington, Binbrook, Copetown, Kilbride, Caledonia, Freelton, Grassie, Rockton, Grimsby, Lynden, Caistor Centre, Oakville, Troy, York, Campbellville, Puslinch.